Home » featured » Tony Campanella will Take It To The Street to make the Music Scene Wild. When producer/musician Mike Zito and Guy Hale founded Gulf Coast Records, Tony Campanella was exactly the type of musician they wanted to sign. Mike Zito has known Tony Campanella nearly 30 years. 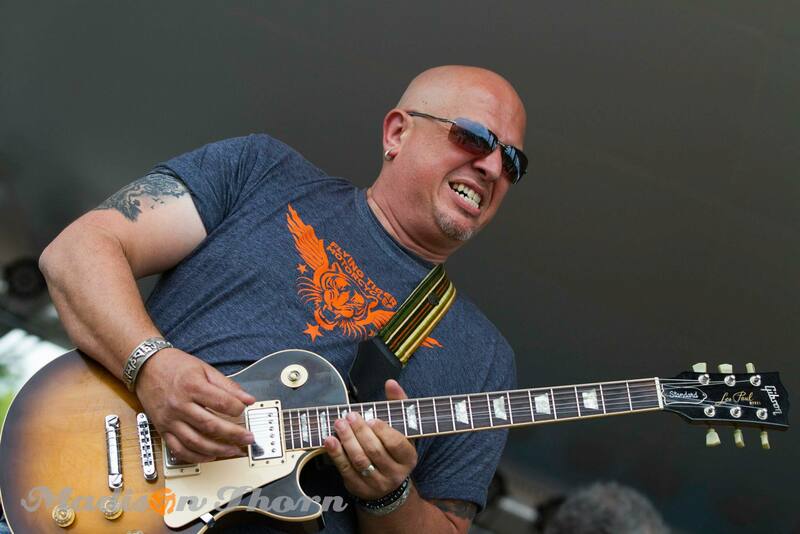 veteran rockin’ l blues artist from the St. Louis area, Tony Campanella has been playing regularly for 25 years, making a name for himself as one of the best guitarists in the city. The album Take It To The Street by Tony Campanella is an album with a bold and ambitious goal, to be THE ALBUM that is to be the shinning start of any album collection, and every song to be on the minds and in the hears of every fan both new and old. Take It To The Street, from the first track to the last is a fusion of classic Blues Rock and Groove Guitar licks that stir the blood, with aggressive power and shining vibes, it simply does the trick and keeps on giving more and more. Wonderfully written, performed and produced, it is awash with funky R&B under the stirring movements of music. A new personal favorite is the track Finger On Your Trigger, a great tune with lyrics that say one thing and mean another, references that give you a strong smile if you know what to look for and just plain great music. Tony learned from the local greats: Tommy Bankhead, Marcel Strong, Big George Brock, Lonnie Johnson, Henry Townsend, Bennie Smith and many others. Life experiences has given Tony a new sense of purpose to his playing and a spark he felt when he was just a kid learning to play the guitar. Now is the time for Tony Campanella to shiner to bring his passion and soul to more people. For a long time, St. Louis has known what a rare commodity it has in Tony but now it will share him with the world. Tony is a virtuoso level guitarist with a big voice full of fire. He brings years of experience in his debut recording for Gulf Coast Records and an album that will make Blues Rock fans swoon. Tony is ready and he is taking it to the street. Tony’s debut album on Gulf Coast Records, Take It To The Street, was recorded at MARZ Studio in Nederland, TX with producer Mike Zito. Performing on this upcoming release are Tony Campanella on Guitar and Vocals, Terry Dry on Bass Guitar, Matt Johnson on Drums, Lewis Stephens on Piano/0rgan/Wurlitzer, and Mike Zito on Rhythm Guitar/Slide Guitar.